When parents have to work or have something on, some kids go to day care, others to Grandma’s or the unsuspecting neighbour’s. Not us. My sister and I were lucky enough to spend this time in the local public and university libraries. “Lucky?” you ask. No, I’m not entirely being sarcastic. Not only did this foster a love of reading and books (OK, yes, we are pretty nerdy), but also allowed us to see some frankly pretty cool stuff. My mother volunteered in the university library historical collection, and once we were old enough we started helping out too. Well, when I say helping this started out with sticking labels on plastic pockets and doing some filing. Eventually we showed our prowess in these tasks (and were another five to ten years older) and were promoted to cataloguing and retrieving/returning items. This is where the cool stuff comes in. Being a university historical collection, there were many old books, photographs and objects from the engineering, metal and earth sciences the school specialised in. Not only do these items have fascinating origins and purposes from a scientific perspective, but they are also steeped in cultural and social history. Take this object for instance. 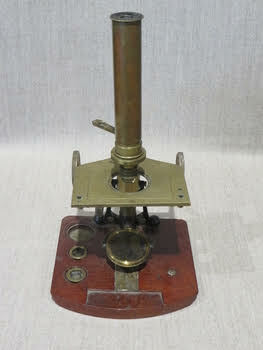 This is a ‘pocket’ microscope dating back to around the 1850’s. Although it may be a tad large to fit in our contemporary fake jeans pockets, the box comes equipped with loops to which straps can be attached and slung over the shoulder. This meant that aspiring biologists- or in this case chemists– would never be without their trusty microscope by their side. 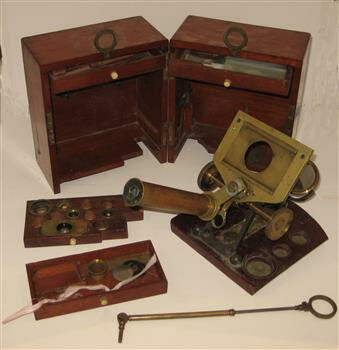 The kit comes complete with various tools, lenses and glass slides. This next item is for the mathematicians and engineers out there. Older generations may know what this is, but those who were schooled post 2000’s with more advanced electronics probably have never seen one before. This is a Fuller Calculator. Back in the day before digital calculators and smart phones, this device was used to make simple calculations such as multiplication and division, as well as more complex logarithms, exponents and roots. Although it doesn’t handle addition and subtraction well- you’ll have to work those out for yourself. 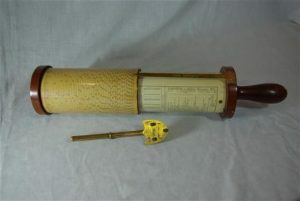 The cylindrical design is an extension of the slide rule, producing more accurate calculations due to its longer scale (41 feet long, or 12.5 metres). You can find out more about how it works here. This particular Fuller Calculator was believed to be used at the Woomera Rocket Range. If you have been vaguely interested reading this post, I highly recommend visiting your local museums and historical groups and learning about your cultural and scientific heritage. You can even offer to volunteer to help preserve our history for future generations. There is a fantastic initiative that allows museums, local history groups and others to upload their historical items to a publicly available database. This means that you and everyone else can view items that rarely see the light of day. You can check it out here. With thanks to the Geoffrey Blainey Research Centre for providing access to items and photographs (and hours of free day care). I had no idea what it was either, until it was explained to me. I had heard of my parents talking about these mysterious “slide rules”, but never understood what they were or how they worked until I saw one in person. It is impressive what they were able to do without the technology we take for granted these days.